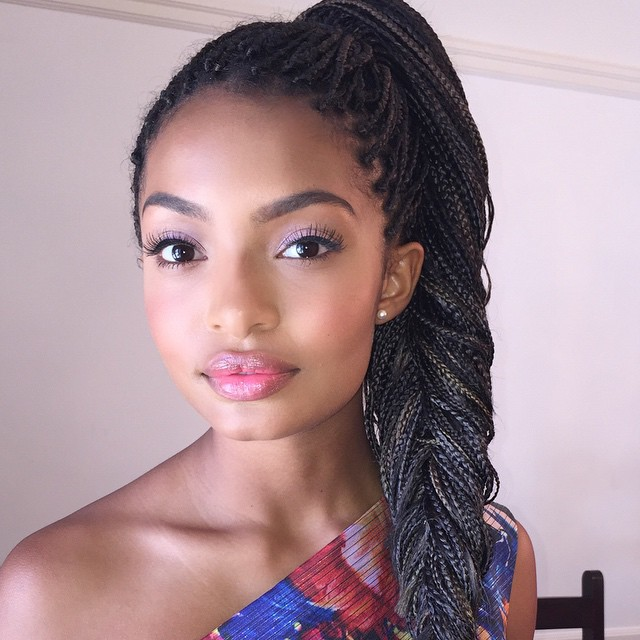 Braids can be a curly girl’s best friend and her favorite go-to style. They can be done in a variety of styles and they help protect your strands from potential damage. For some naturals, it seems your braids only look their best for a short time and then you have no choice but to take them out. What are you doing wrong? Why aren’t your braids lasting and looking as great as the day you put them in? When looking for a few pointers on how to make braids last longer, we have some information that may help you achieve this goal. If anyone ever tries to tell you that you don’t need to wash your braids, ignore their ill advice. You should still keep up with your wash routine when you have braids in to avoid an accumulation of dirt, oil, fungi growth, and other unpleasant scenarios which can play out on your scalp. The key is to modify the routine so you aren’t washing as often. A good rule of thumb is to wash your braids every two weeks. If you are concerned about creating frizz or flyaways when washing your braids, there is a better way to wash them. You never want to rub braids in an up and down motion since the movement will make your style all out of whack. When washing braids, you want to squeeze them instead of rubbing them to help braids last longer. When it comes to moisturizing your strands, you probably already know how important moisturizing is, but some curlies seem to forget this once they have braids in. Your strands still need hydration to stay healthy and happy! Applying your favorite leave in every few days will help with hair health while applying a daily misting oil will keep things sleek for longer lasting braids. A good oil for this purpose is ULTIMATE Moroccan Argan Oil Argan Oil Treatment which helps to hydrate and tame frizz at the same time. One of the biggest tips on how to make braids last longer is to wrap your hair at night! When you sleep, your hair rubs against your pillow which creates frizz and friction. Wrapping your hair at night ensures your style will last longer by eliminating this concern. You can also opt for a silk pillowcase to cut down on the friction factor. While some naturals are tempted to simply have their front braids redone to refresh their look, you really shouldn’t leave braids in for more than the average of 6-8 weeks. Lots of naturalistas will leave their braids in, especially box braids, for longer, and then their hair pays a price. Your curls need a chance to breath and your edges need a break! So, a key in managing how long braids will last is also in knowing when they need to go.